Time Limited Offer for the Course: Off to a Great Start! Home / Bass Bits for the Brave / Time Limited Offer for the Course: Off to a Great Start! sales everywhere. I get the allure (and often necessity) of them, believe me! …but we don’t do these types of sales anymore. For a bunch of reasons. In scope it is comparable to two semesters at a university – I know because I have designed university classes, online and in person. In content, it is unique in how it combines technique with music theory; in how it uses groove creation tools to help you remember it all and use it! We also added interactive coaching elements that are one-of-a-kind in a music course like this. The new platform offers great new features, we have added effective, engaging and enjoyable content and took care to include coaching in this online format to help you succeed. We do, however, have something very special for you! Participate in a live “Off to a Great Start” – Session! Includes a Bass Skills Assessment! 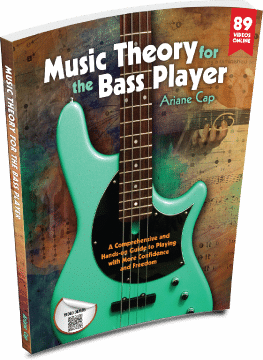 For a limited time until the end of November – sign up for the Course, Music Theory For the Bass Player, and participate in a live orientation session with Ari! This session includes tips on assessing your skills so you can get an accurate “before” and “after” read! Check out the Course on our newly revamped platform with lots of new interactive content and many additional features! As always, there is a 20-day money-back guarantee, so it’s risk-free, and you have lifetime access to the material, but you have to purchase before this offer expires to take part in the “Off to a Great Start” Session. Already in the course and want to take advantage of this session? Contact us! You know I will always reward my early adopters! Offer expires 12 noon Pacific on November 30th! Want to give the Course as a gift? We can make that happen. Just contact us for a gift certificate. The course starts when the recipient activates it!